The nominal towing capacity of our tugs relates to the weight that can be pulled on a flat surface (with a friction coefficient of 0.5 such as dry concrete or bitumen). 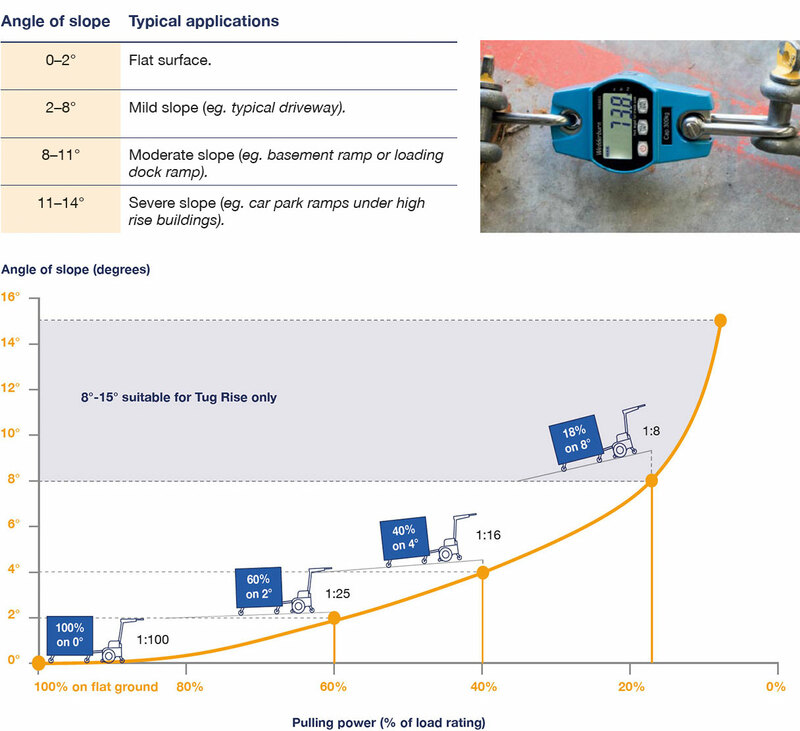 The practical rule of thumb to determine which tug is right for your application is to get the pull force (in kilograms) required to start your load moving (on the worst case surface of your application) and multiply it by 40. This will give you the towing force. 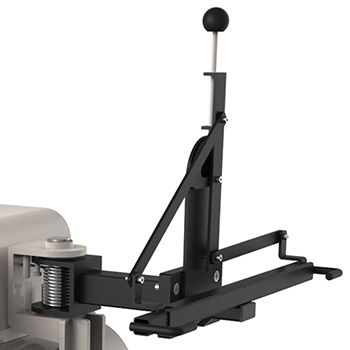 So, for example, if it takes 20 kg of pull force to get your trolley moving on your intended surface, multiply this by 40 to get a towing force of 800 kg, meaning that you will require a Tug that can pull more than the Tug Compact (500 kg), and would need the power of a Tug Evo 1 Tonne, which will exceed your pull force comfortably. Measuring the pull force required to start the load moving can be done with a weight scale—of the type used to weigh produce at the green grocers, or the more modern digital luggage scales such as those shown in the photo below. 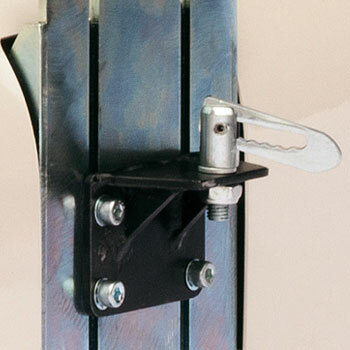 It is important to measure the pull force required on the worst case of your application. Perhaps a linen cart will need to follow a route that includes the flat internal hospital passageways on carpet, as well as an outside bitumen area with a 6 degree slope. Make sure you measure the worst case scenario—in this example, the outside inclined area when wet (to simulate the added slipperiness that occurs when raining). A final "top tip": measuring the incline can be done with a smart phone app. Go to your app store and search for "measure incline" or "measure slope" or "spirit level" and you'll have many options to choose from for both Apple and Android smart phones. 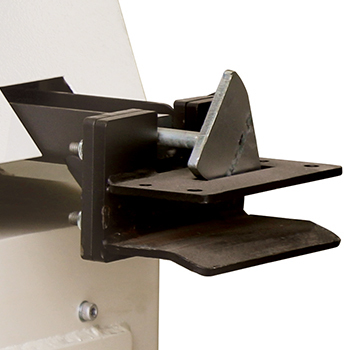 Four swivel castors will not trail properly behind the towing unit— they will cut corners rather than follow the unit. They will also tend to 'whip'—to over correct any sideways displacement and sway from side-to-side as they travel. 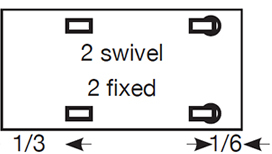 These problems become more acute if more trolleys are linked in a train. 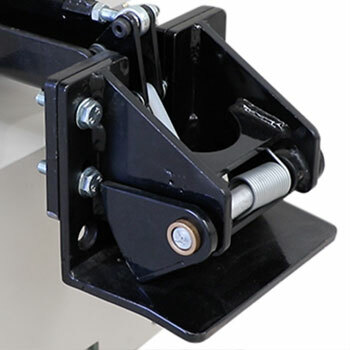 We offer fixed wheel skate hitch (pictured) accessories to correct this problem for situations where it's not feasible to replace two of the four swivel castors on an existing trolley fleet. 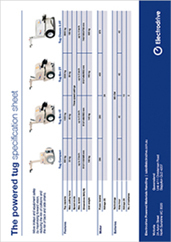 If two fixed castors are used at the rear of the trolley it eliminates the whip, and improves trailing and towing. 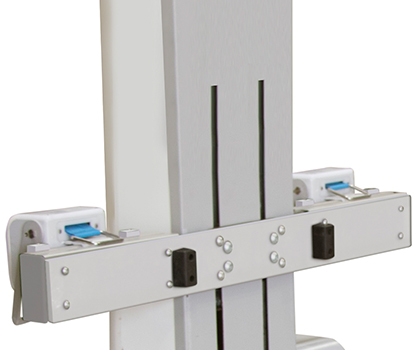 An ideal configuration is to mount 2 swivel castors 1/6 of the length of the trolley from the front of the trolley and two fixed castors 1/3 of the length of the trolley from the rear. This gives little whip, and good trailing. Note though, that such trolleys should not have a heavy load concentrated at the rear end or they will tip backwards.